One of the things I love the most about the Digest Diet are the recipes. They are based on real food, and are bursting with flavors — at least the ones I’ve tried so far. Last night I made the kale and chickpea soup. It calls for three cups chicken broth, but I substituted my favorite vegetarian broth. I was a little leery of the chickpeas, because until I started eating hummus about two years ago, I hated them. My mom would always want to put them in soups or salads, and I would always give her a hard time. When she hears that I really enjoyed this soup, I know I ‘m going to get a “told you so” type of comment. For me, getting all the ingredients and the actual preparations are just as important as what it taste likes, because I love cooking. With this recipe, it helped that I have four giant kale plants in my backyard. 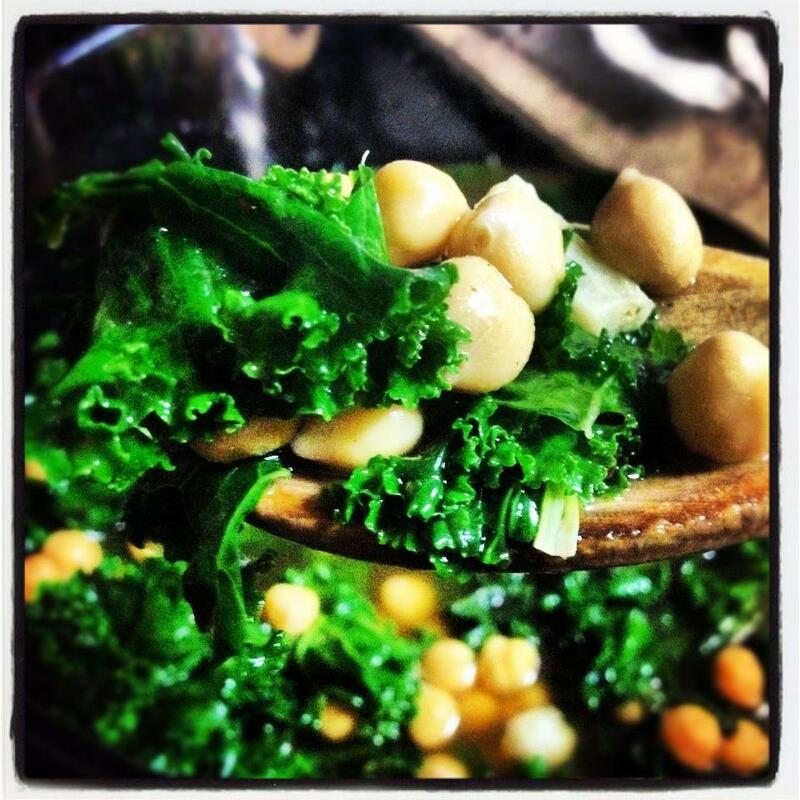 The ingredients in this recipe are so simple: Kale, chickpeas, broth, garlic, crushed red pepper and ground black pepper. And, ironically just writing that list, I totally forgot to add the red wine vinegar! When you serve the soup, you also top it with feta. Yummy! What do you think of chickpeas? Previous Post The Digest Diet: I Cheated! I look forward to trying this recipe, and to your further entries on doing the Digest Diet "veg"! I'm just in the planning phase now, and have frankly been a little put off by all the meat recipes. I still think I'll try it though, and would love to keep in touch to compare notes with you! I made this again tonight and WOW do I love it. Who would have known that kale could be so delicious!? !